For as long as we’ve had Skype Audio and Message monitoring sensors, customers have said “Where’s the Skype Conferencing Sensor?” or “Where’s the video, I want the video!”. 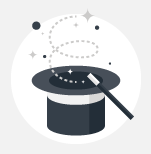 We understand — customers always want more magic. Even when we looked for feedback of how they they might expect Skype monitoring for Conferences to work, no-one really knew. They left that part up to us. 😉 Well, have we got solutions for you! Announcing the release of both CloudReady Skype Conference testing AND the release of the Skype Video Sensors. Lots of people think the problem with Skype or Microsoft Teams (WebRTC) is only Microsoft’s problem – that their own internal networks never suffer glitches, latency, jitter or that capacity is never an issue and everything is tuned to perfection. They assume the only culprit is the Skype or Teams relay and media servers – never the gateway, the ISP or the Internet. Well now’s the chance to find out. For both the Audio and (newly released) Skype Video Sensors you can force the conversation to not be peer-to-peer but rather to execute in the cloud, on Microsoft’s Relay / Media Edge servers. For Skype Audio or Video sensors its as simple as clicking the conference mode checkbox and this will escalate the call into conference mode as opposed to peer-to-peer. We are still rolling out both the conference mode functionality as well as the Skype for Business Video Monitoring sensor. Contact us for more information about its availability within your account or request a demo. The unspoken ethic of any great magician is not to reveal their secrets and we don’t plan on breaking that ethic with any source code dump. 😉 We can tell you that it doesn’t require any more infrastructure than our existing CloudReady Skype Monitoring sensors already do. You still need a Skype Receiver, Skype Sensors, the virtual audio or video drivers and the required Skype accounts. 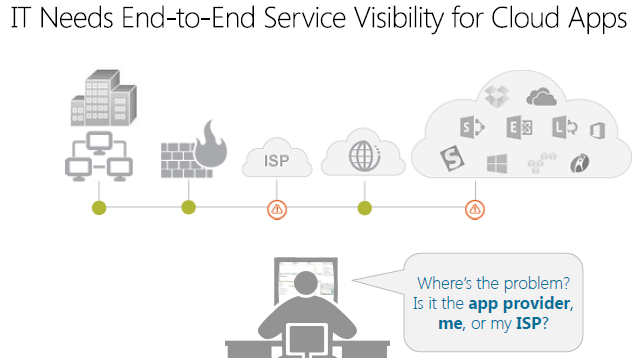 There’s just no working around the need for unique presence within the Skype for Business infrastructure. Video and Audio calls require two participants to be in the conference call for the sensors to work and for the various metrics to be recorded. Once the peer-to-peer conversation begins, both participants notify each other of the escalation into the conference call and after some additional tear-down and re-setup, the modality magically moves to the relay servers. Once the conversation is escalated, audio (or video) samples are played in each direction just as the peer-to-peer conversations currently do. 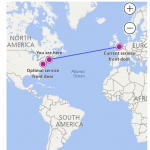 Once the conversation is over, the sensors gather the telemetry, in real-time, from the Skype for Business clients, perform additional network inspection, and report back to the CloudReady servers for aggregation and notification. 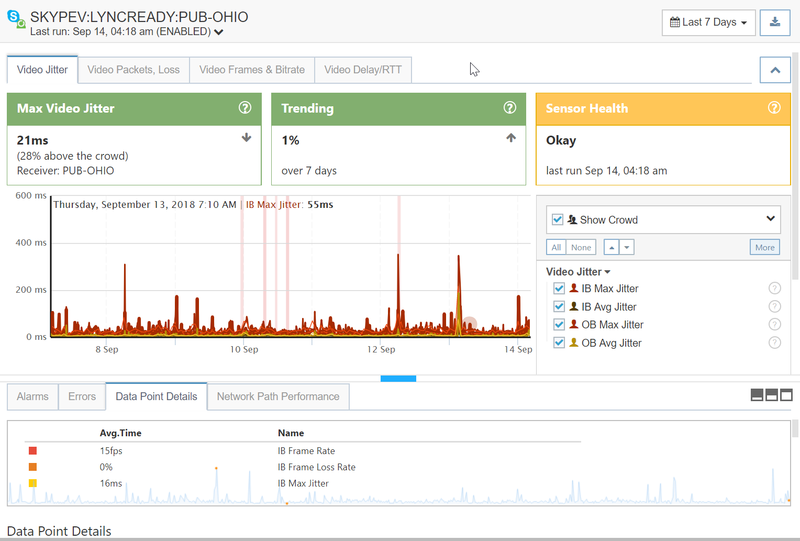 Real-time insight into the health and availability of your network and Skype infrastructure. This works for Skype for Business Online AND for Skype for Business Server installed on-premises. For Microsoft Teams this will test the same utilizing WebRTC performance metrics to gather telemetry. 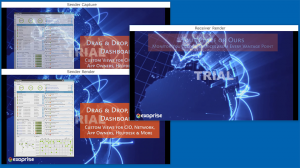 Conference mode forces the use of relay servers; media relay or transport relay servers during the escalation. Actionable, repeatable metrics for continuous conference call quality against the media relay servers for Skype for Business Online. 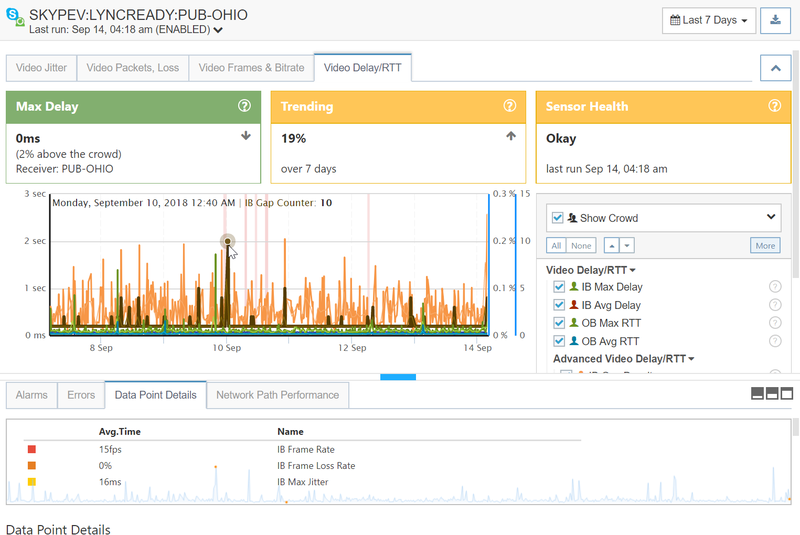 By capturing these high-level action timings and low-level metrics at the same time, along with end-to-end network path inspection, you can predict the call quality before that important business meeting. Call Quality Dashboards deliver information long after a call is finished. CloudReady synthetically and proactively tests the Skype infrastructure and network so you can know, in advance, how the network, gateways and media servers are performing. Why wait for days to find out how a call performed last week? Along with real-time, predictive analytics for Skype for Business and Microsoft Teams, CloudReady gives you long-term insight and trending into the health, capacity, latency, and loss of your network. Contemplating a change to your QoS policy? Use CloudReady for consistent baselines before and after. Thinking about adoption of Express Route? Use CloudReady to model your traffic against the network change before you roll it out to users. We released our Skype Audio sensors about two years ago and have had thousands of customer and partner deployments in the meantime. Through assisting customers in their deployment and modeling their network, we’ve learned a few things along the way. Here’s a couple of helpful suggestions. Often users participate in conference calls with some users remote and some participants in a conference room at headquarters. It might be a couple of people in branch offices at their desktops (i.e. LAN connected) and the ones in the conference call are WiFi connected. Its often the WiFi connections that will suffer Skype or MS Teams packet loss, jitter and latency. Its not the gateway, the ISPs, the Internet or Microsoft that are the cause of the problem, its the wireless access points. 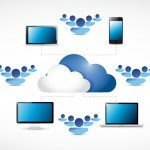 The answer is to put CloudReady sensors on WiFi connected machines to fully emulate real users in a conference call. That’s also why we’ve been recommending alternative devices such as Mini PCs for running CloudReady sensors, in particular, for testing VoIP and Skype throughput and Call Quality. Read more about the use of a Mini PC for deployment. It can really make a difference in understanding the end-user experience and testing your WiFi access points for capacity and latency. We know that acquiring Skype for Business (& Microsoft Teams for our upcoming Teams Audio/Video sensors) can be challenging and require more work. Give our VoIP and Bandwidth sensors a try while you are waiting to allocate accounts. The CloudReady VoIP sensors allow more frequent and more controllable VoIP testing without the need for Skype accounts. 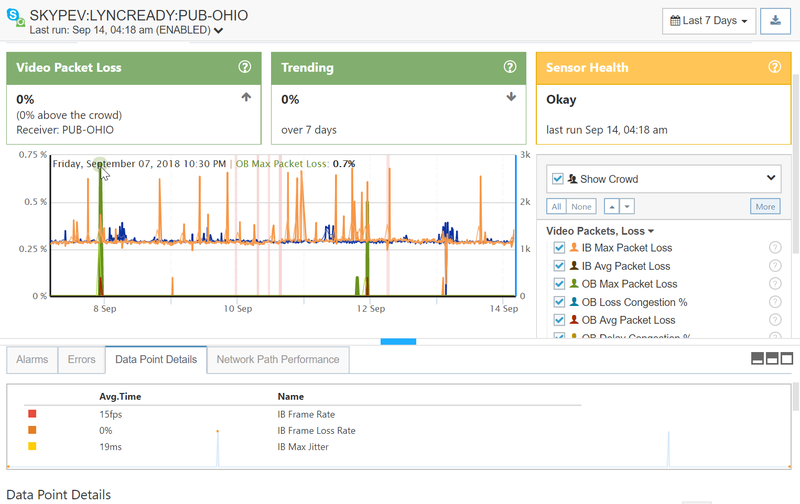 The CloudReady Bandwidth sensor allow continuous test and simulation of end-to-end network capacity and bandwidth. All of the sensors enable testing Express Route, SDWAN, MPLS, WiFi and other network conditions before, during and after you deploy. Onto the new Skype Video Sensors. In working with customers, we wanted to be able to model the more bandwidth consumptive modalities over Skype, in particular Video. Some customers reported that their audio measurements were just fine – no problems with capacity. But when it came to sharing video in a conference room with remote users, that’s where things stumbled and dropped. They had packet loss, video frame freezes and gaps in their video streams. That, combined with the previously mentioned requirement to test real-world WiFi conditions, caused us to accelerate our development of the Skype Video sensors. Just like the Skype Audio sensors, the Video sensors require virtual devices for capturing and playing video synthetically through the real Skype for Business clients and infrastructure. If you are adding Skype Video sensors to existing Skype Receivers you’ll need to update the receiver machines and deploy the virtual video devices provided by Exoprise, otherwise you’ll get errors and they’ll be no inbound video metrics. 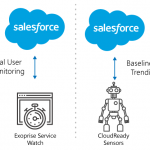 Other than the required virtual video drivers, the CloudReady Skype Video sensors have the same configuration and account requirements as the audio sensors. Provided you are in the right plan type, you can also enable conference mode testing for video. The Skype Video sensors will make the connection with the Receiver SIP account, elevate into an Audio/Video modality and begin to play a video in both directions once the conversation and participants are connected. 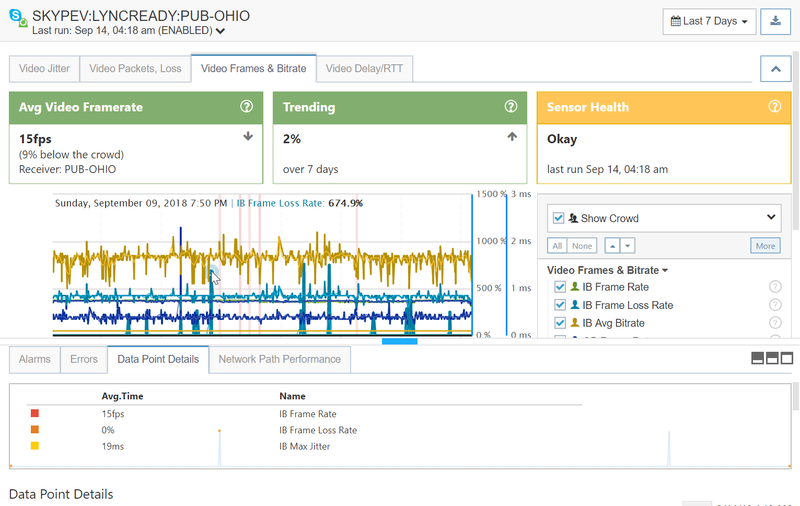 Once the video is finished playing, the sensor will capture the video QoE metrics for analysis and aggregation and upload them to the CloudReady servers. Here are some sample screenshots of the Video sensors in action over a 7 day period of simulating and monitoring Skype for Video traffic. 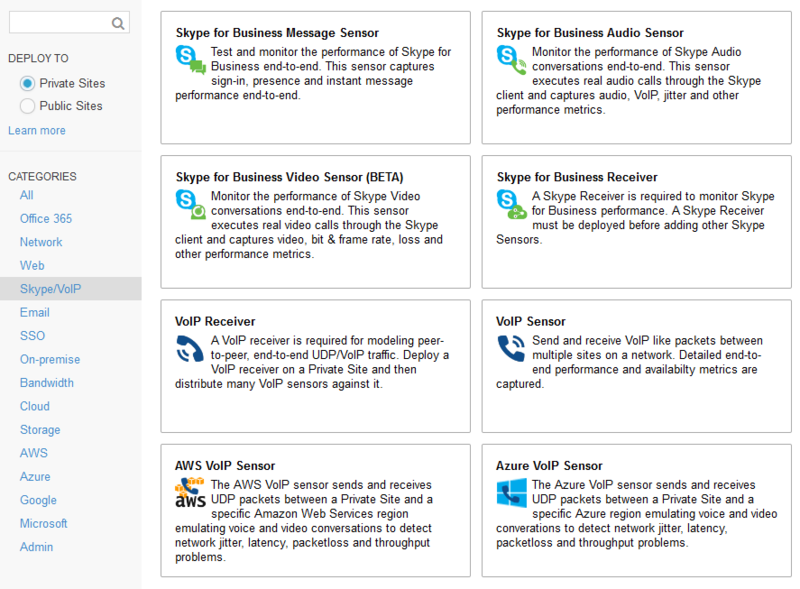 With the release of Skype Sensor Conference mode, Skype Video sensors, the pending release of Microsoft Teams AV testing and our existing VoIP and Bandwidth sensors Exoprise has you covered for all of your monitoring, network assessment and network modeling needs. No other company supports continuously testing the actual Skype and Teams infrastructure giving you the ability to proactively and predicatively model your model and test your network performance in branch office, SDWAN, and WiFi scenarios.